DALLAS, TX / ACCESSWIRE / May 11, 2018 / Alternet Systems, Inc. (OTC PINK: ALYI) featured the highlights of its patented lithium battery technology and the potential for the technology to reduce the risk of fire and explosion in lithium batteries currently in the market. 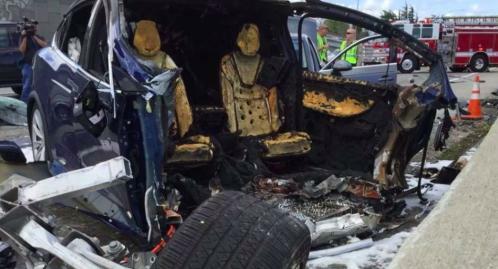 Another Tesla fire was in the news yesterday and Alternet management believes their patented lithium battery technology could help Tesla reduce and even eliminate the risk of fires. "Lithium batteries have shown a tendency to overcharge and in so doing, overheat," explained Randel Torno, CEO of Alternet. "The electrolytes in lithium batteries have some flammable characteristics. Over-heating and flammable characteristics can be a bad combination. Among other benefits, Alternet's patented lithium battery technology reduces overcharging issues and reduces the flammability of the electrolytes. Our technology produces a more efficient and safer battery." To further develop its lithium battery technology, Alternet recently launched an Electric Vehicle (EV) business called ReVolt Electric Motorbikes utilizing the company's portfolio of patented lithium battery technologies. Alternet secured the patented lithium battery technology from the original developer of the technology, Air Products and Chemicals, Inc. (APD). The technology has been tested by Nissan Motor Company, Ltd.
Goldman Small Cap Research recently issued a research report on the Company. The report includes a "speculative-buy" rating with a target price-per-share of $0.09. The report provides an in-depth overview and analysis of Alternet's patented lithium battery technology portfolio and the first application of the technology in an electric motorcycle being produced by an Alternet subsidiary. To view the report, visit www.lithiumip.com/research-rpt or www.GoldmanResearch.com.